Choctaw horses are the direct descendants of horses that traveled with the Choctaw Indians on the "Trail of Tears" in the 1830s from the southeast U.S. to the reservations in Oklahoma. The Trail of Tears was a series of forced removals of Native American nations from their ancestral homelands in the Southeastern US to an area west of the Mississippi River that had been designated as Indian Territory. The forced relocations were carried out by various government authorities following the passage of the Indian Removal Act in 1830. The relocated people suffered from exposure, disease, and starvation while en route, and more than four thousand died before reaching their various destinations. The removal included members of the Cherokee, Muscogee, Seminole, Chickasaw, and Choctaw nations. Choctaw horses are quiet and have a great people-oriented disposition. They are not tall horses (most are 14 to 14.2 hands), but they are built to carry weight and can easily carry a 200 plus pound man over 50 and 100 mile races. They have very sound legs and hooves and most are never shod. Choctaw horses come in every color and pattern and most commonly have long, full manes and tails. In addition to their wonderful disposition they are very athletic and excel in endurance events. Many Choctaw horses are gaited, however even the trotters are very smooth riding. Choctaw horses make excellent trail horses and they also do well participating in other activities from dressage to reining to jumping and western games. They have striking looks which make them a natural choice for parade, trick, and exhibition horses while their calm and engaging dispositions make them great family pets. 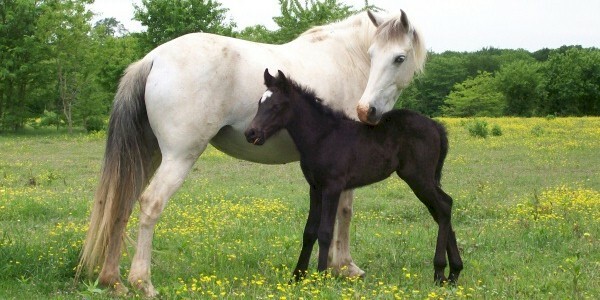 Today they are very rare with only about 200 horses of pure Choctaw breeding in existence.